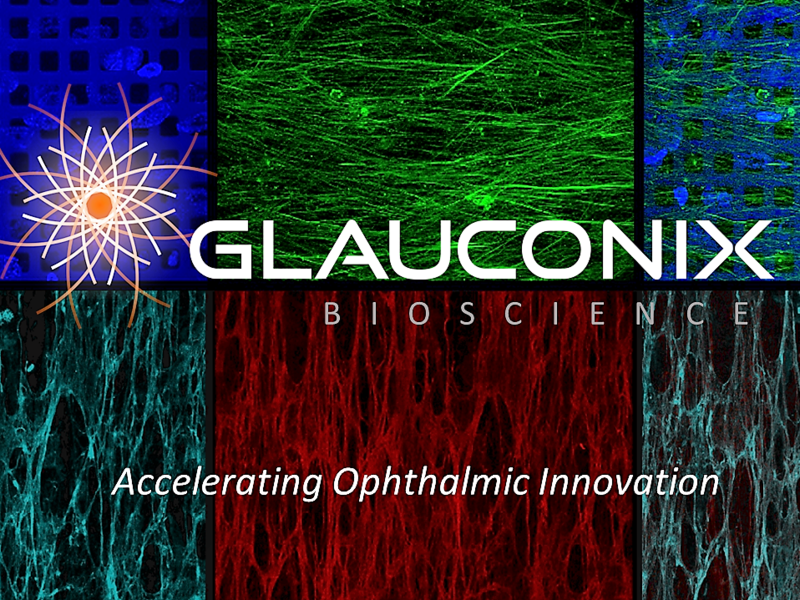 ALBANY, NY / ACCESSWIRE / March 14, 2019 / Glauconix Biosciences Inc., a specialty pharmaceutical company that uses its patented platform technology to develop human 3D ocular tissues that mimic the fluid dynamics in the eye to expedite and de-risk the R&D of ophthalmic treatments while reducing development costs, announced today that the data generated for Nemus Biosciences Inc. (OTCQB: NMUS) validates the mechanism of action of NB1111, Nemus' proprietary prodrug of tetrahydrocannabinol (THC-valine-hemisuccinate, or THCVHS), in lowering intraocular pressure (IOP), a defining symptom of hypertensive glaucoma. Glauconix is located at the SUNY Polytechnic Institute's Albany, New York, campus and is a partner in the institution's Center for Advanced Technology in Nanomaterials and Nanoelectronics (CATN2). ''These studies were significant across a spectrum of findings and we plan on submitting the data to an upcoming major ophthalmology meeting. Micro-quantities of cannabinoid delivered directly into the eye could have the dual benefit of a therapeutic effect while mitigating risk of systemic adverse events through direct tissue targeting, an advantage associated with using bioengineered molecules,'' said Brian Murphy, MD, CEO and chief medical officer of Nemus. The Company is a biopharmaceutical company, headquartered in Long Beach, California, focused on the discovery, development and commercialization of bioengineered cannabinoid-based therapeutics for significant unmet medical needs in global markets. With proprietary technology licensed from The University of Mississippi, Nemus is developing novel ways to deliver cannabinoid-based drugs for specific indications with the aim of optimizing the clinical effects of such drugs while limiting potential adverse events. Nemus' strategy is to explore the use of proprietary biosynthetic compounds, alone or in combination with corporate partners. Nemus is part of the Emerald Health group, which comprises multiple companies focused on developing pharmaceutical, botanical and nutraceutical products providing wellness and medical benefits by interacting with the human body's endocannabinoid system. SUNY Poly is New York’s globally recognized, high-tech educational ecosystem. SUNY Poly offers undergraduate and graduate degrees in the emerging disciplines of nanoscience and nanoengineering, as well as cutting-edge nanobioscience and nanoeconomics programs at its Albany campus, and undergraduate and graduate degrees in technology, including engineering, cybersecurity, computer science and the engineering technologies; professional studies, including business, communication and nursing; and arts and sciences, including natural sciences, mathematics, humanities and social sciences at its Utica/Rome campus; thriving athletic, recreational and cultural programs, events and activities complement the campus experience. As the world's most advanced, university-driven research enterprise, SUNY Poly boasts billions of dollars in high-tech investments and hundreds of corporate partners since its inception. For information, visit www.sunypoly.edu. The mission of the New York State Center for Advanced Technology in Nanoelectronics and Nanomaterials (CATN2) at SUNY Polytechnic Institute (SUNY Poly) and its College of Nanoscale Science and Engineering (CNSE) is to serve as a bridge between each phase in the research-to-development-to-deployment (RD&D) commercialization continuum. The Center's objective is to drive systematic progression in technology transitions, workforce skills attainment, market adoption and entrepreneurial growth by aligning and coordinating an array of capabilities that support applied research, technology development and operational deployment necessary for commercialization. This press release contains forward-looking statements, including statements regarding our product development, business strategy, product milestones, EHS commitment to purchase shares in the open market, timing of clinical trials and commercialization of cannabinoid-based therapeutics. Such statements and other statements in this press release that are not descriptions of historical facts are forward-looking statements that are based on management's current expectations and assumptions and are subject to risks and uncertainties. If such risks or uncertainties materialize or such assumptions prove incorrect, our business, operating results, financial condition and stock price could be materially negatively affected. In some cases, forward-looking statements can be identified by terminology including ''anticipated,''''contemplates,''''goal,''''focus,'' ''aims,'' ''intends,''''believes,''''can,''''could,''''challenge,''''predictable,''''will,''''would,''''may'' or the negative of these terms or other comparable terminology. We operate in a rapidly changing environment and new risks emerge from time to time. As a result, it is not possible for our management to predict all risks, nor can we assess the impact of all factors on our business or the extent to which any factor, or combination of factors, may cause actual results to differ materially from those contained in any forward-looking statements that Nemus may make. Risks and uncertainties that may cause actual results to differ materially include, among others, our capital resources, uncertainty regarding the results of future testing and development efforts and other risks that are described in the Risk Factors section of Nemus' most recent annual or quarterly report filed with the Securities and Exchange Commission. Except as expressly required by law, Nemus disclaims any intent or obligation to update these forward-looking statements.